Are you ready to experience the slopes? At the Ski Centre, we use unique revolving slope technology that simulates real ski runs & allows skiers to get in realistic length ski runs. We'll help you develop better posture, balance, edge precision and rotation control, in turn improving your fitness and confidence in your skiing. We offer a wide range of Skiing & Snowboarding experiences to our customers. Below is a collection of some of our most popular services. Everything you need to learn & have fun! Our sessions, technology & equipment allow us to provide an experience like no other - we supply everything you need to learn & have fun! 30 Minutes per hour skiing compared to typical 5 minutes on average outdoor slope. Unlike typical skiing lessons, there's no lifts/queues which means more time on the slopes. Qualified instructors with max 3 per group compared to typical 8 for other indoor slopes. We cater to all levels, whether you're a beginner, intermediate or advanced skier. A typical 30 minutes on the slopes will cover 11km - Mount Everest in comparison is 9km! We provide all necessary equipment, but feel free to bring your own gear if you like. Whether you're an experienced skier or a budding enthusiast, we welcome everyone to join in the fun and develop their slope skills at the Ski Centre. If you’ve never skied before this is by far the easiest and safest way to learn. Just pop on the slope, hold on to bar and off you go! The Instructor is right beside you every step of the way. With remote control in hand they can control the speed and height of the slope. Like all good sports instructors they can pre-empt any falls and bring the slopes to a stop at a touch of a button. If it’s making perfect parallel turns, tackling black runs or mastering off-piste – we can help. Our unique mirrored wall will allow you to see yourself ski so you can better understand where you can improve and our non-stop slopes mean you can get in meaningful length ski runs. Many National Ski Teams now use our slopes for training (Swiss ”A” Team, Dutch National Team etc). Our slopes are the perfect place for you to touch up and improve your skiing technique heading into the snow season. The “instant feedback mirror” – helps you “hear, feel & see” yourself ski in real time, helping you better understand areas to improve. We can match the slope to meet your skill level and our non-stop slopes will offer you plenty of time in which to perfect your technique. Our team of experts are on hand to ensure you have a thoroughly enjoyable time learning & developing new skills at the Ski Centre. 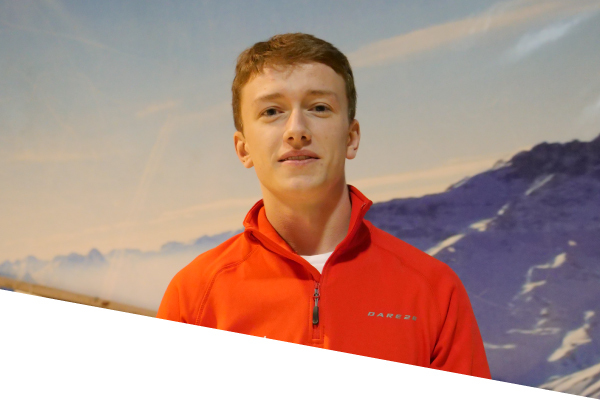 We strive to make every visitors experience a truly memorable one - see what some of our past students had to say about their time at the Ski Centre. "Aodhán's 6th birthday party was great fun! Staff are friendly and really helpful." "Nice and calm class where I could really focus, learn & lots and prepare for holidays." "Enda was my trainer for my ski lesson and I loved it. I will continue my ski classes for sure." "I had a great skill refresher session to get me back up to speed for my upcoming ski trip." Check out our Ski Holiday Summer Pass!